"Throughout the years, the State of Georgia has grown to absolutely depend on Earth911 to manage information on local recycling programs. In this 'get-it-now' information age our services and programs would be lost without Earth911." 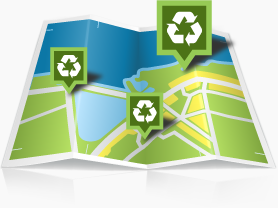 People in your area are asking us for information on your recycling program. Let us know what to tell them. We want to list your program your way. Create an account and keep your program current and accurate. We have trained recycling program service staff here to help you any way we can. We've been doing this for over 20 years and we're really good at it. Ask around in your recycling community. © 2019 Earth911.com, an Infinity Resources Holdings company. | Comments or Suggestions?